Discussion in 'Auto News' started by GTPNewsWire, Jan 21, 2019. This article was published by Joe Donaldson (@Joey D) on January 21st, 2019 in the Automotive News category. 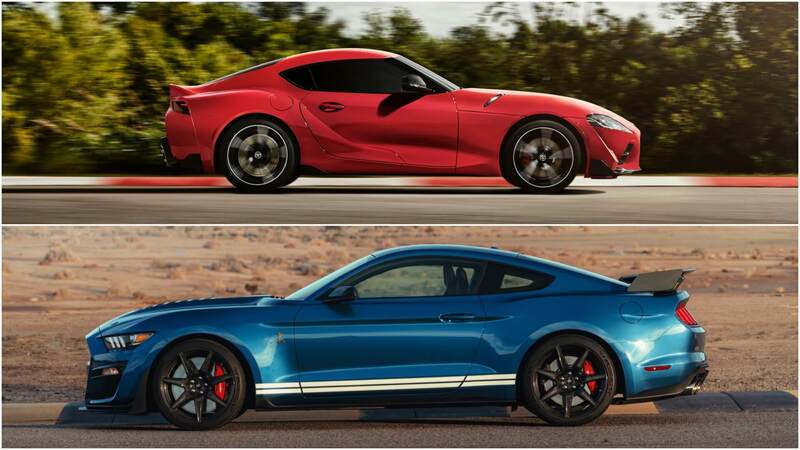 Wait just a second, 1.1 for the GT500 and 2.1 for the Supra? Just for it being the first (which usually means trouble)? I do like how Supra looks, but really? Man, the Shelby suddenly feels "cheap" to me. Both cars ended up at $3.52 million when you tack on the Buyer's Premium fees. What's a bit amusing is that Mr. Jackson himself bought both cars; imagining the amount of money he makes from this 7-day auction, probably helped cover his donation to the charities in exchange for both cars. Surprised you didn't include the '19 GT Heritage VIN 001 as well Joey. $2.75 million all in to another well known bidder, Rick Hendrick. LMSCorvetteGT2 and acedition333 like this. This setup of lots of people around the car remind me alot of Top Gear,thought Clarkson was gonna appear out of nowhere. The Ford GT is so 2017. Besides, Shmee has one - and although he's ordered a Supra, he doesn't have one yet, so we can still talk about it. Shmee has a Supra? I’m betting his thumbnail will be him giving thumbs up in front of the car. Slash and CaptainRisky21 like this. They wont sale for 100K so no they wont be worth that amount. Also again most people seem to not understand that this is for charity and when you get a bunch of rich people and a yearly broadcast auction, they tend to spend a lot. This has been the story for the past 10 years every time a high profile new sports car is released. Some people have a lot of money. That's my biggest takeaway.